Small business owners are finding it increasingly difficult to manage multiple moving parts and run a thriving company. It’s a constant struggle to get everything done. Small business success depends on how efficiently and productively the business owner can use tools to handle virtually every single business process an organisation can have. Google’s GSuite offers a number of productivity enhancing features for small to mid-sized businesses. GSuite is a great place to start conducting some of the most essential operations a modern small business must undertake, such as setting up a business email client, document sharing, managing calendar, launching an online ad campaign, or tracking traffic stats for websites. GSuite offers a wide range of services in one place quite conveniently. GSuite even has an app for Google’s cloud storage platform, which will allow users to work and access files from anywhere in the world. The GSuite is also recommended for its enhanced business-grade security features. Perhaps the biggest advantage is the flexible and affordable pricing structure. Small businesses can use GSuite for as little as $10 per month, which comes with unlimited cloud storage and archiving. Note: TeamWave offers native and seamless integration with G Suite. Slack is the team communications app all businesses must have these days. Slack is a streamlined instant messaging application that is enhanced for business use. There are loads of IM apps out there that businesses can use. However, these IM apps are intended for two-person communication, not group communication as businesses require. So it’s easy to get bombarded with notifications and messages with regular apps. Slack eliminates such annoyances and offers an optimized chatting platform for teams that work together. Slack offers perks like separating group conversations, setting some conversation modes into public or private, direct messaging, an auto archiving of all messages and other material that gets shared. Businesses can add as many users as desired without limit. Slack has expanded services from IM and is now capable of file sharing and phoning too. Boomerang is an add-on for Gmail, and possibly the best add-on a business can use. Boomerang allows Gmailers to schedule emails and tracking responses. For example, if your business needs to spend a particular email at midnight on Friday to the dot, you don’t have to stay up that late to do so with Boomerang. You can use the add-on to specify times and dates for certain emails to be sent. This is an absolutely essential service for companies that manage email marketing campaigns. Boomerang is also AI-enhanced and can improve the overall quality of emails as well. One of the most challenging aspects of managing and growing a business, especially a web-based company, is the lack of communication with customers. There are huge barriers when it comes to educating customers and understanding consumers. The eventually leads to flawed user interface decisions, limited of awareness of customer issues and needs and substandard user experience. 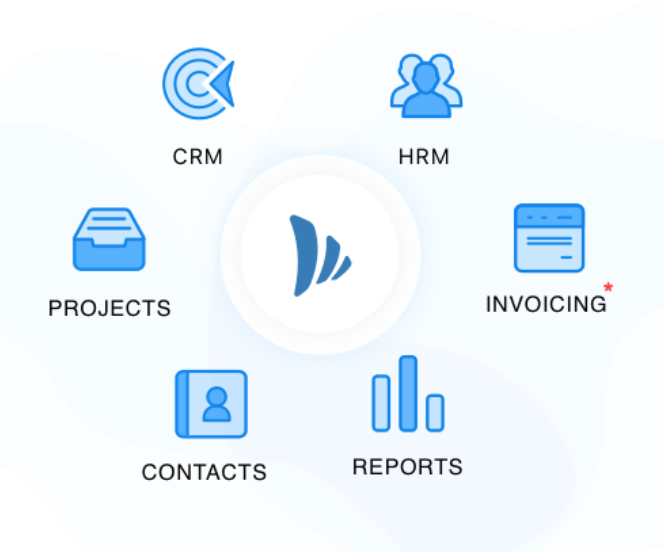 Intercom offers a suite of features to provide live chat, customer on-boarding, action-based email triggers and more for your users, making it easier to interact, engage and communicate with your customers. Creating invoices is an important but tedious task when running a small business. FreshBooks is an innovative new app that allows small businesses to simplify the invoice creation and sending process. Instead of sending a rather boring invoice, businesses can use Freshbooks to design personalized or branded invoices. The biggest perk of the app, however, is the ability to organize invoices and track them. The app also enables users to set up automatic billing for recurring invoices, and accept credit card mobile payments. Also, users can trace profits and losses by aggregating all information in the invoices in one place. FreshBooks can be used to generate business reports that can track overall finances. MailChimp is the email marketing app businesses need to run a successful and effective campaign. Mail Chimp facilitates many services that are considered necessary for modern digital marketing campaigns. The app is mainly known for allowing users to create and manage large mailing lists. Users can use Mail Chimp to create and send email newsletters. Mail Chimp offers templates to design customized emails and data analysis tools to assess how an emailing campaign has been. Mail Chimp is quite easy to use on a number of devices. The app notably eliminates the need to repetitively create or send email marketing material and saves a lot of time and money for communications teams. Sales and Projects: Important files can be copied from deals to projects (example: requirement document) with a few clicks. Comes handy when you commence project delivery after winning a deal. Use the above mentioned tools to establish and streamline processes with an aim to improve business productivity.